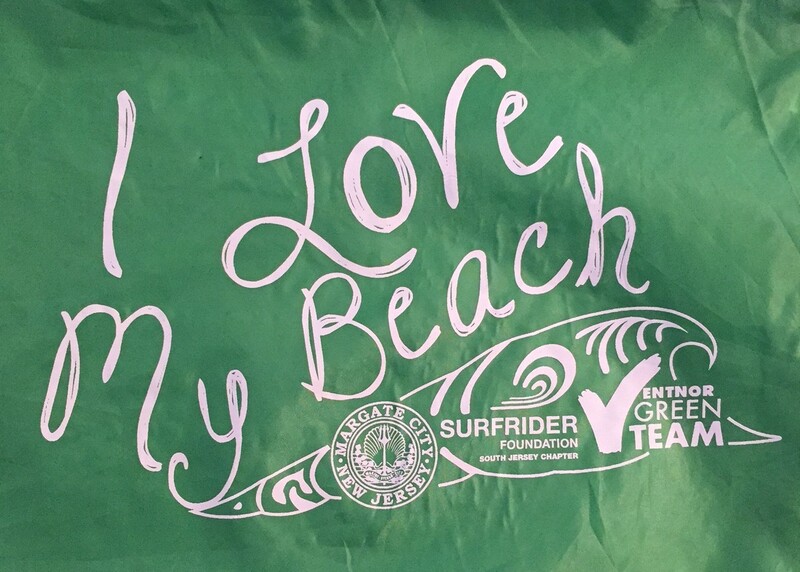 The Surfrider Foundation South Jersey Chapter has partnered with the Ventnor Green Team, Sustainable Margate, and the City of Longport to reduce the number of single-use shopping bags given out in these communities. Many bags end up as litter, getting stuck in trees, clogging the storm drains, and blowing out into the bays and ocean. As coastal communities that rely on tourism, Ventnor, Margate, and Longport feel it is a priority to keep their beaches and towns free of litter. Together we are working to educate the merchants and public to refuse single-use shopping bags and form the habit of using reusable bags instead. On February 25, 2015 Longport adopted a resolution encouraging their residents to shop with reusable bags and educate others about the issues of plastic bags in relation to our oceans and marine life. You can read their resolution here. In November 2015 Longport,NJ became the first city in the state to pass a fee on bags. Ventnor become the fourth city in the state to pass a fee on bags in February 2017. For ongoing updates on activities related to the Downbeach Bag Campaign please click here. If you are in Ventnor, Margate, or Longport and see a single-use shopping bag as litter please take a photo and upload it to social media using the hashtag #BagitDownbeach before you pick it up and place it in the nearest trash can. Thank you!